Hot on the heels of a casting announcement for The Lion King (John Oliver has signed up to play Zazu), a new report has some info on another coveted part from a different Disney live-action remake. Alongside Jon Favreau’s in development project, the House of Mouse is also working on a new version of Aladdin, helmed by Guy Ritchie. So far, only one actor has been attached to the production – Will Smith, taking over Robin Williams’ beloved role as the Genie. 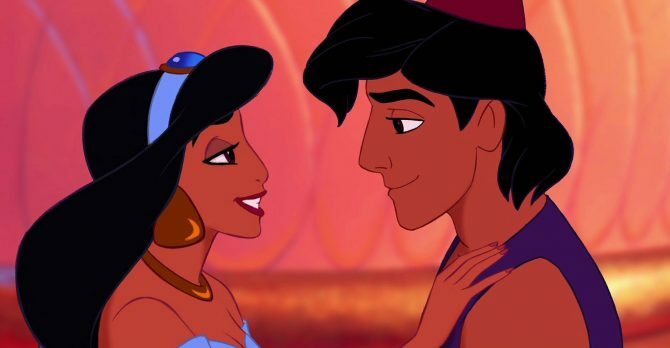 Now, though, we’ve learned that a couple of stars are in the running to play the street-rat’s love interest, Princess Jasmine. According to THR, Ritchie and his team are hoping to wrap up their months’ long hunt for the perfect Aladdin and Jasmine in what’s being called one of the widest casting searches ever. Casting agents from London, Egypt, Abu Dhabi and India have been contracted in order to find the movie’s stars. The studio were apparently interested in Dev Patel or Riz Ahmed to play the lead, but Ritchie really wants an unknown. Based on this, THR says that three newcomers are currently the favourites to take the part of Aladdin, according to the latest round of screen testing. These are Dutch actor Achraf Koutet, Canadian actor Mena Massoud and American George Kosturos. As for Jasmine, two names have risen to the top of the pile of wannabe princesses. One is 21-year-old Indian actress Tara Sutari and the other is English actress Naomi Scott, 24, most well known for her turn as Kimberly the Pink Ranger in this year’s Power Rangers reboot. Furthermore, Disney is also apparently hoping for a known name to play the movie’s villain, the Sultan’s sinister vizier Jafar, with Tom Hardy being rumored for the role a while back. Tim Burton’s Dumbo, starring Eva Green and Michael Keaton, is the next Disney remake to arrive, with a March 29th, 2019 release date. The Lion King then hits theatres on July 19th and if the cast is nailed down soon, Aladdin could also make it into cinemas that same year.